mundane jane: Whew! I almost missed it. Whew! I almost missed it. Did you know that today is National Corndog Day? Sadly, I did not, or I would have hosted myself a NCD party. That's okay, though. According to the NCD Website, someone else is hosting a party right in my town. 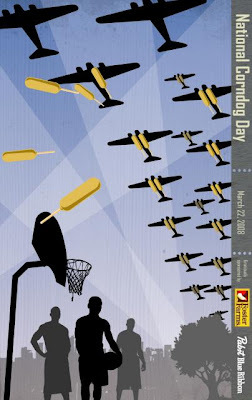 So what if I have to watch a little basketball to share in some corndog love? It's a tiny sacrifice.